8-year-old M. L. Lloyd III’s official cause of death was “asphyxia due to neck compression.” His body was covered with bruises indicating a severe beating, and officials were concerned that he may have been dead for several hours before being brought to the hospital. 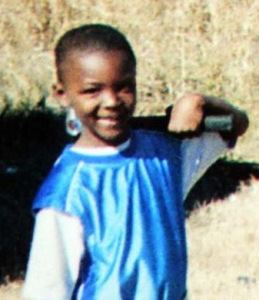 Lloyd’s mother and stepfather, Tonya and Errol Victor, claim that the boy died of a severe asthma attack. According to Tanya, Lloyd confessed to lying the morning of his death, after which she punished him by whipping him with a belt. She then gathered her other sons together and told them they would be sent to military school if their behavior did not improve. She left the room and returned to find an altercation. She claims that Lloyd was fine when she broke up the fight, but that the exertion triggered an asthma attack later that morning, leading to his death. When Tonya and Errol met and married, both had children from previous marriages: Tonya had five sons and Errol had six sons. The couple went on to have two more sons together. Tonya stayed home to raise the children, and when the boys got in fights at school and exhibited behavior problems she began homeschooling them as she and Errol sought to get their behavior under control. Neighbors reported that Errol was a harsh disciplinarian. None of the children were registered with the state as homeschoolers as required by law. The Victors were charged in Lloyd’s death, but the trial dragged on for years as the couple maintained their innocence and fired lawyer after lawyer. At one point the Victors fled and were on the run for eight months before being apprehended.